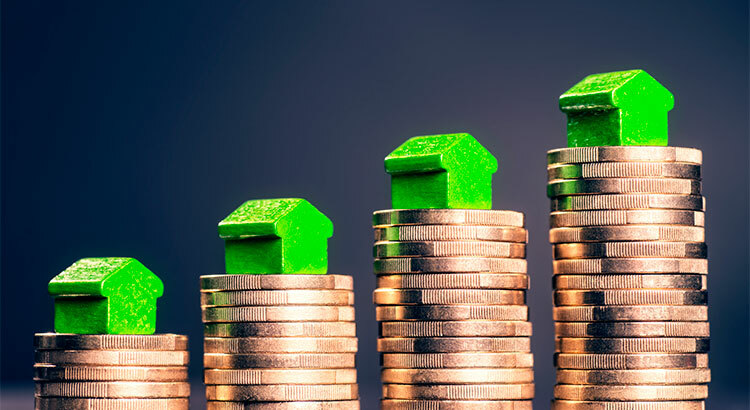 There are many theories as to why home values are continuing to increase. From those who are worried that lending standards are again becoming too lenient (current data shows this is untrue), to those who are concerned that prices are again approaching boom peaks because of “irrational exuberance” (this is also untrue as prices are not at peak levels when they are adjusted for inflation), there seems to be no shortage of opinion. However, the increase in prices is easily explained by the theory of supply & demand. Whenever there is a limited supply of an item that is in high demand, prices increase. You will see that across all markets, whether homes for sale or items in the local grocery store. It is that simple. In real estate, it takes a six-month supply of existing salable inventory to maintain pricing stability. 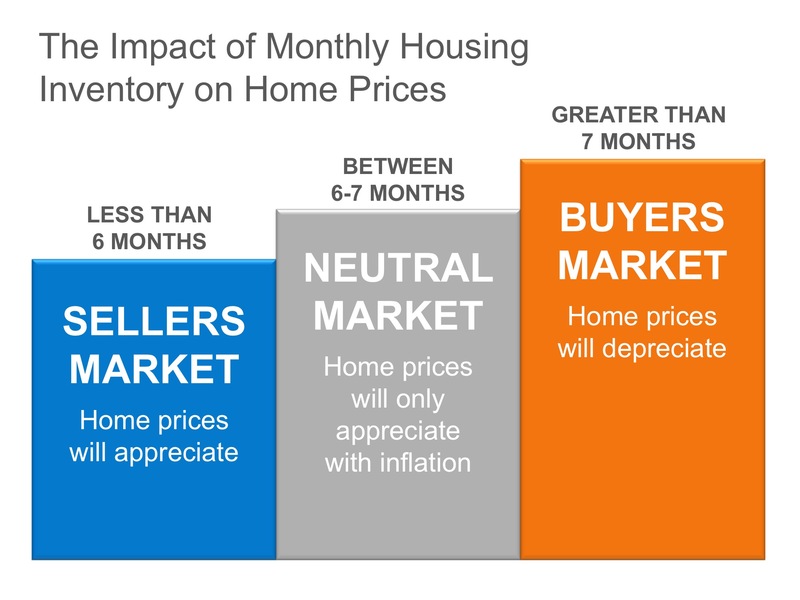 In most housing markets, anything less than six months will cause home values to appreciate, and anything more than seven months will cause prices to depreciate (see chart 1). According to the Existing Home Sales Report from the National Association of Realtors (NAR), the monthly inventory of homes has been below six months for the last four years (see chart 2). 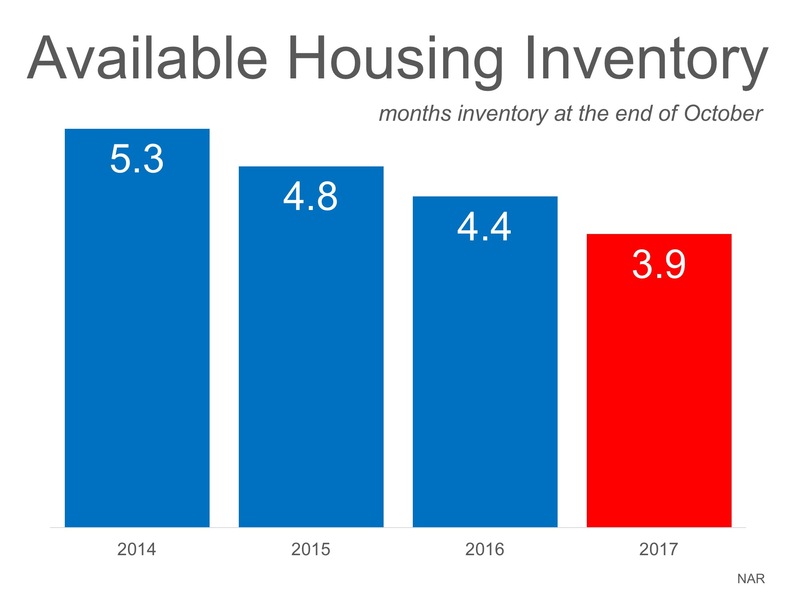 And while nationwide the average is 3.9 months of inventory, here in North Kitsap we are at just over one month’s supply of inventory and have an historical low number of homes for sale. The answer is simple. If buyer demand outpaces the current supply of existing homes for sale, prices will continue to appreciate. When demand lessens, prices will stabilize (or even go down) to entice buyers. In North Kitsap, we currently have the lowest available inventory of homes for sale anyone has seen, and this continues to drive values up! What we are seeing in our current market is the theory of supply & demand working as it should. Questions? Please feel free to ask. As always, I am here and happy to help!